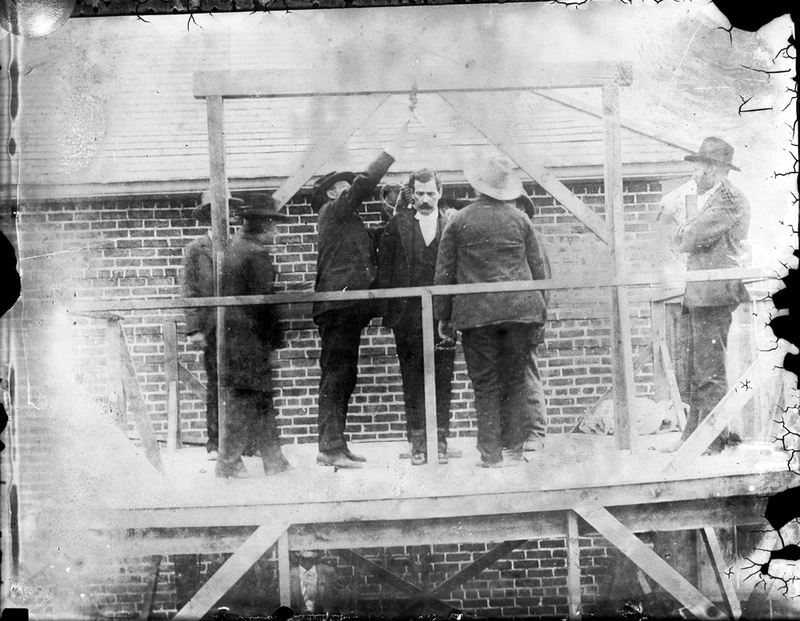 Sheriff Salome Garcia of Union County, New Mexico tightens the noose around the neck of Thomas "Black Jack" Ketchum prior to his hanging in Clayton, New Mexico. Also on the gallows are Sheriff O.T. Clark of Las Animas County, Colorado; Detective H.J. Chambers of Chicago, Illinois; Trinidad citizen C. de Baca; Dr. J.C. Clark; and a priest, Father Dean. The hanging would decapitate Ketchum. Courtesy of Denver Public Library, Western History/Genealogy Department.